TERRE HAUTE, Ind. 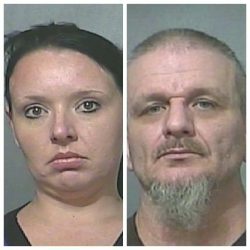 – Two people from Terre Haute are facing federal drug charges for allegedly bringing drugs to the Wabash Valley from Arizona and selling them. Nicole Westenhaver faces charges of dealing in meth after the Vigo County Drug Task Force said they found meth and evidence of drug dealing in her home. Court records show that Jason Rector traveled to Arizona to get meth. Detectives said they found text messages between Rector and Westenhaver. Court records say she was on probation because of a previous arrest.